Financial loss recoverable in a personal injury claim or lawsuit may include loss of income due to loss of mental or physical ability earn an income. Past income tax records, medical records, and the like, along with employers' payroll and benefit records, and statements from employers, co-workers and friends, and other evidence and testimony may be used to prove a loss of income claim. Where disability or altered ability is permanent, and employment with the same or similar benefits is lost, the value of the lost benefits is recoverable. Value of benefits is often 15-20% of pay, or more. Past income loss is calculated from the time of injury and disability to the time of settlement or trial. Future income loss is calculated based on a claimant's remaining number of years of expected future employment ("work life expectancy"). Income loss is often calculated by an expert in financial matters, who considers prior education, training, work experience, income history, age, disability, and work life expectancy, among other things. Future income loss is also adjusted for expected inflation or deflation over time. Where death has occurred, future income loss is decreased for the amount of future income the decedent would have predictably spent for all aspects of living (usually 75% or greater). Future income loss for a decedent is, generally, what the decedent predictably would have left in savings and investments at a statistically predicted age of death, adjusted to a lump sum "present value." A personal injury claimant is entitled to recover the reasonable value of all past and future medical and other health care related expenses which are caused in whole or in part by the negligence of another. The necessity of treatment, reasonableness of costs, and relation to the claimed negligence of another must be established by health care professionals. The amount of costs which can be recovered depends on the nature and extent of injury and resulting treatment and rehabilitation, or disability. These type of expenses may include, but are not limited to, costs of: ambulance services; diagnostic radiology services (X-ray, CT scan, MRI, etc. ); hospitalization; surgery and other in-patient or out-patient services and procedures; prescription and over the counter drugs; physical therapy; occupational therapy, chiropractic services; massage therapy; clinical appointments; psychological or psychiatric counseling; prosthesis (artificial limbs); and functional or therapeutic devices (pain control devices, sensory aid devices, canes, walkers, scooters, etc.). Normally, where insurance companies, employers, or government programs or agencies pay for healthcare related to a claimant's claim for injury and damages, or where a healthcare provider or hospital provide services not fully reimbursed by insurance, Medicare, or Medicaid, they are entitled to recover their costs from any settlement or favorable trial result. However, the amount of their claim or recovery may be reduced or eliminated, due to various, complex legal rights favoring a claimant. In some instances, the claimant has no such rights, and full repayment may be required before a claimant has any right to retain any settlement or trial proceeds. Financial loss recoverable in a personal injury claim or lawsuit may include the cost of additional services required to perform ordinary household duties, tasks, or chores normally performed by the claimant. This could include cleaning; laundry; cooking; home maintenance; lawn, yard, and garden maintenance; shopping; and running errands, as examples. The inability of the claimant to perform a task should be based on medical advice, and caused by the person claimed to have been negligent. It is important to note that, in order to maximize recovery on a claim, a personal injury claimant is required to "mitigate" their claim. This means the claimant must make a reasonable effort to medically treat, or otherwise deal with and lessen any physical, mental, or emotional injury or condition which is claimed to have been a result of the negligence of another. Financial loss recoverable in a personal injury claim or lawsuit may include the cost of repairing or replacing damaged, destroyed, and lost physical items. As an example, in a motor vehicle collision, this may include damage to a motor vehicle; personal property in the vehicle that was damaged; clothing and personal accessories (watches, eyeglasses, etc.) worn by an injured claimant; gemstones that become lost from a setting or ring, and the like. 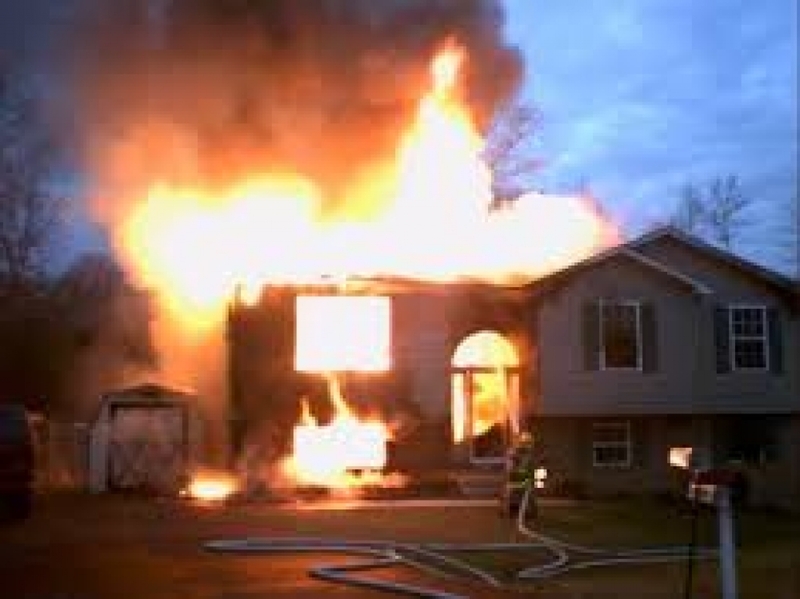 Failure of a negligently designed, manufactured, or installed minor home appliance (toaster oven, space heater), major home appliance (washer, dryer, oven), or HVAC/mechanical component (furnace, water heater), could cause fire, serious personal injury or death, and damage to or loss of a home and its contents. Keep fire and CO2 alarm batteries current, for safety. Maintain an updated photo/video record of all personal property, and its condition, a task made much easier today with cell phone cameras. Also maintain purchase records on major items, and service records on vehicles and machinery, for loss valuation purposes. These records should be digitized and kept or backed up at a secure offsite location, or "in the cloud."